Achievement Unlocked: inked in flesh! 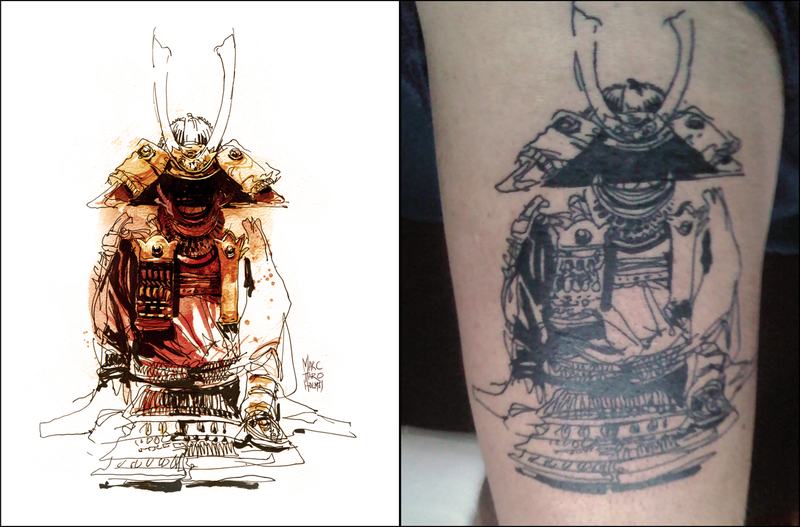 I was contacted the other day by a certain F.H., just to let me know he has immortalized my Samurai Armor sketch in his flesh. You have to see that as a compliment! This has to be an important landmark in your artistic career. It’s not technically an absolute first for me. 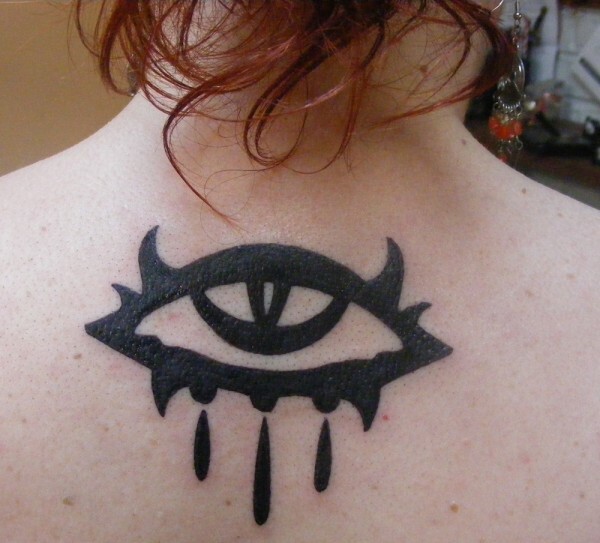 There are a few people out there wearing the Neverwinter Nights eye-mark that I designed back in 2000. But this is the first (that I know of) where someone has inked one of my drawings. And they chose one I like too – so very good! Thanks to F.H.! Both for choosing my sketch, and for sending me a snap of the ink. I don’t know who did the tattooing – but they did a pretty accurate job. I’ve always wanted to design a tattoo for someone. If anyone wants to give over their body as a canvas – I do have some ideas. But I might need your entire surface area. Get in touch if you’re up for it! You have now made it! It is actually very well done, not that I am an expert in any way on tats but this seems as precise as the original. Wow! Being one of those people wearing the Neverwinter Eye, I’m thrilled to have stumbled on this. Did you ever give any kind of backstory on the Eye symbol? If so, I’d love to know where to find it. Thanks again, and good journeys to you! So…wait…the guy who wrote the urban sketching guides also designed THE neverwinter nights eye!!? ?